The Relative Strength Index is an oscillating momentum indicator that tracks price changes to determine overbought and oversold conditions of an asset. Introduced by J. Welles Wilder in his 1978 book, New Concepts in Technical Trading Systems, the value of RSI oscillates between 0% and 100%. At an RSI reading of 70 or above, the asset is considered overbought and at a reading of 30 or below, it is considered oversold. The averages of the losses and gains over a specified time period (in this case 14 days) are expressed here as positive percentages. The purpose of this second calculation is to smooth out the result of the first so that the RSI will only near the extremes of 0 and 100 in a strongly trending market. The RSI line rises as the number and size of gains increase and falls when the number and size of losses increase. There are four main trading signals that can be taken from an RSI chart. Two of these are divergences. Bullish divergence is when the price of an asset has one low and then a lower low, but the RSI of the asset has a low and then a higher low. This is an indication that the downward momentum of the asset’s price is slowing, a possible buy signal. 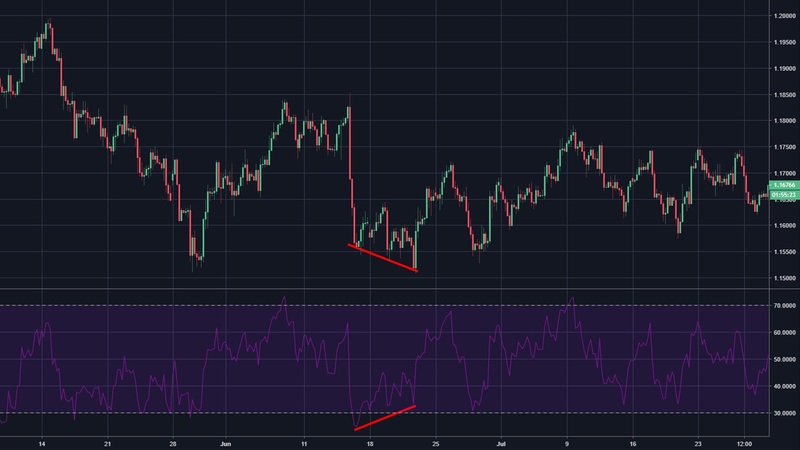 Bearish divergence is when the price of an asset has one high and then a higher high, while at the same time the RSI has a high and then a lower high. This indicates that the upward momentum of the asset’s price is slowing, a possible sell signal. Another signal traders can look for on the RSI chart is something called a midline cross, where the midline is defined as the 50. Trading according to midline crosses involves buying the asset at a low RSI extreme and then selling it as soon as the RSI hits the midline. The last signal this blog will go over using the RSI chart involves using a chart with a shorter time period - usually one day or even intraday. The trend pullback method is when the RSI line is continuously going in one direction, such as being overbought in the upper half or third of the RSI chart, and then buying the asset the moment it goes to oversold. 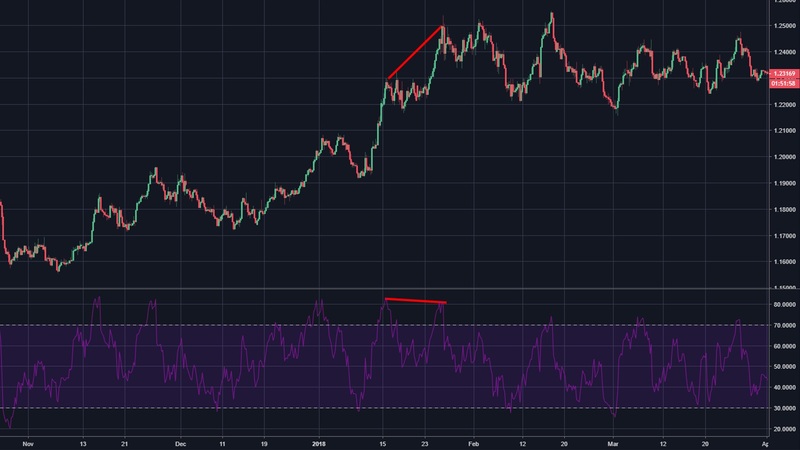 For another perspective on price movements, you can manipulate the RSI chart by setting a shorter time period than the standard 14 or 10 days to 2 days, for example. This results in the graph having more extremes and therefore looking more volatile. You can adapt to this by setting more extreme levels of overbought and oversold, such as 90% and 10%. You can maximize the possibilities of trading with RSI by using it in the trades you automate through Capitalise. Capitalise is a platform that is redefining trading automation, empowering you to automate your own unique trading plans using natural language. You simply write if-then strategies in plain English and Capitalise monitors the market and executes your trades from entry to exit. 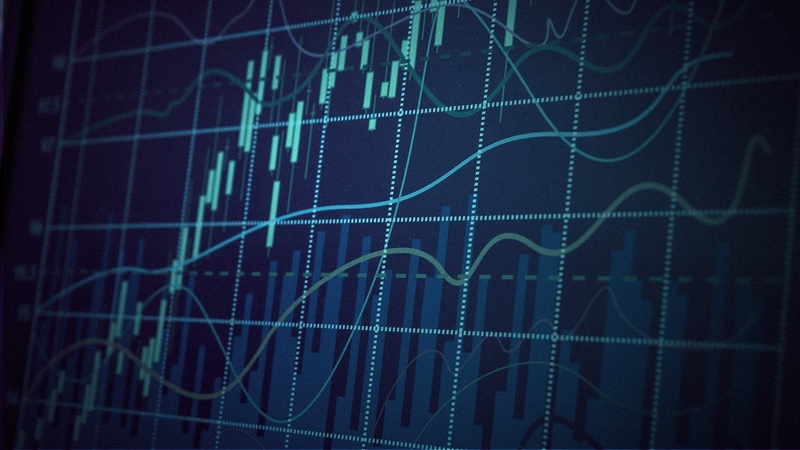 When setting a condition using RSI on the Capitalise platform, there are certain parameters you must set, including the number of bars on your RSI chart, the bar period, and the bar price, which can be the period’s high, low, open, or close. Below is an image of how to set these parameters in Capitalise. And of course, as with all technical indicators, you can look at a TradingView chart of RSI based on the parameters you set within the Capitalise platform. We encourage you to try it for yourself here: https://app.capitalise.ai/wizard. Just click on the link and start typing.